Perfect Prints is an eBook that anyone can afford. There is an art to photography and an art to getting the processed picture right for printing. You would not believe how much is involved in the process. I decided to follow the advise and low and behold my first print from my photo-printer came out perfect and just as I saw it on the screen. I would not have achieved this without reading this book and I can highly recommend it to anyone who wants first class prints. Many photographers aspire to print their own photographs only to give up in frustration. They waste time, paper and money trying to get it right but can't. Often they just give up, accepting either that they will never get the prints they long for or that they will need to pay for someone else to print the image. Unfortunately sending their prints to others doesn't seem to work either and the images still appear lifeless and flat or have the wrong colours. 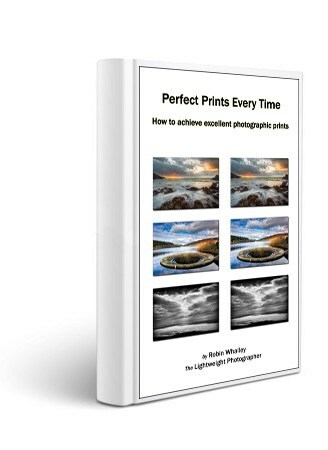 Have you become frustrated when trying to produce high quality photographic prints? Have you tried a third party print service only to conclude they're no better? If you recognise any of the above from your own experiences, this could well be the book to help you. Making consistently high quality prints that match what you see on your computer monitor is well within the capability of all photographers who have an inkjet printer and image editing software. The reason you have not been able to achieve this level of consistent excellence is that you are missing the vital keys in the print making process. Keys that are described in this book. More than this though, you will learn how to implement this knowledge into your own workflow and achieve results. This short (17,000 words) illustrated book (42 illustrations) will help you achieve great prints every time. It has been deliberately designed to cut out the superfluous information that you don't need and focus on the few vitally important elements that make a difference. You won't find yourself wading through lots of filler content to get at a few grains of information. Everything in this book is designed to help save you time and money when printing your photography.